At the start of June we exhibited at the Free From Foods Expo in Amsterdam. This was the first time we had attended a show like this as an exhibitor and it was great to speak with industry specialists and see what else is new in the ever growing free from market. We showcased our new exhibition stand and had a lot of interest at the show, with everyone loving our premium Prewett’s packaging! The team did a great job in introducing the rest of Europe to Northumbrian Fine Foods and what we do. Northumbrian Fine Foods Ltd (NFF), the UK’s biggest gluten-free biscuit manufacturer, is investing £1.2m in new baking production capabilities that will create around 40 new jobs at their Gateshead facility. The investment is the result of soaring demand for their biscuits in the ‘free from’ sector that has seen turnover increase over the last five years by 80%. The baking oven will increase production capacity at NFF by 40% and will principally focus on the manufacture of ‘indulgent’ cookies, rotary moulded biscuits and bake bars such as Granola. The 40 new jobs created by the investment will see total employment at the plant increase to around 200 people. 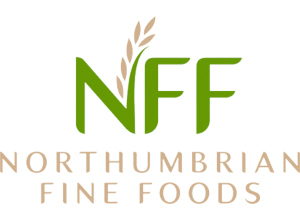 Stewart McLelland, managing director of NFF, said: “This investment is great news for Gateshead and is testament to the hard work of everyone at Northumbrian Fine Foods. We have seen significant growth in the ‘free from’ market for our ‘indulgent cookies’ and other biscuits, especially from the multiple retail sector. As well as supermarket own-label products, NFF also manufactures biscuits under the Prewett’s brand, which has enjoyed recent success with a significant expansion in its range to include milk-free biscuits, ‘indulgent’ all-butter cookies and individually wrapped chocolate coated biscuit bars, all of which are gluten free. “We are planning further extensions to our range that will focus on everyday favourite biscuits in a variety of formats,” said McLelland. About 60% of the UK’s gluten free sweet biscuit production is carried out at the NFF site in Gateshead. The new bake transporting oven will become fully operational by September and the recruitment process for new employees has now commenced. This autumn we are proud to present our newest Prewett’s range. These delicious gluten free biscuits are made with all butter and the highest quality ingredients. It’s that little moment of luxuary you’ve been waiting for. Dark Chocolate Ginger and Oat & Raisin available in Sainsburys. https://i2.wp.com/www.northumbrianfinefoods.com/wp-content/uploads/2016/07/prewetts-premium.jpg?fit=388%2C295&ssl=1 295 388 nff-admin https://www.northumbrianfinefoods.com/wp-content/uploads/2018/08/Northumbiran-Fine-Foods.jpg nff-admin2016-07-07 10:09:592017-06-05 11:52:59Prewett's Premium has arrived!